When you announce your plan to attend college, you’ll often hear “What is your major?” or a question related to your future goals and aspirations. 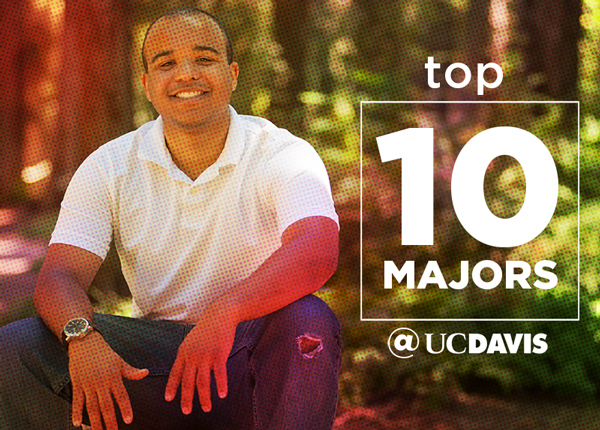 Choosing one college major can be easy or difficult, especially with so many great course topics and majors to choose from at UC Davis. What if you are interested in more than one major? This dilemma occurs for both high school students applying to college and for undergraduates discovering their possibilities once they are here. Consider these questions when trying to decide if you should double major in college. 1. Does a double major align with your career goals? A double major might sound appealing if you have an interest in more than one subject. Not all majors offer direct links to career paths, and the future is full of unknown possibilities. Does a double major truly align with your specific postgraduate or career goals? A double major could enhance your knowledge and skills for entering a particular field of work. Or it may do little to enhance your long-term goals. To figure out those long-term goals, you will need to investigate your options. Read “3 Paths to a Major When You Don’t Know What to Do” to learn more. 2. Would a minor or graduate degree fit better? Before you decide on a double major, look into your other options: a minor or graduate school? For example, a double major in computer science and design will open doors to career opportunities in the latest trend of User Experience (UX) or User Interaction (UI) occupations, while a double major in mechanical and electrical engineering would be better aligned with an undergraduate degree in one and a graduate degree in the other. Your academic advisors can help you figure this out. Choosing a minor may be a more viable path to achieve your future goals, enhance your skills and explore your interests. For example, a minor in education at UC Davis will give you experience working with students in kindergarten to 12th grade and insight to teaching careers. Or it could help you decide if a graduate degree in education is right for you. A computer science minor will take less time to complete than a double major in another subject you want to major in along with computer science, and still provide you with technology skills. If you are interested in pursuing a master’s degree or doctorate, completing a single major may be all you need to be accepted into a graduate program. For instance, an undergraduate degree in hydrology is all you need to prepare for an advanced degree in hydrologic sciences and related fields. You can learn more about graduate school and professional school opportunities by visiting an advisor at the Student Academic Success Center. 3. Can you graduate in four years while finishing a double major? If you are thinking of pursuing a double major, you must plan early to stay on a four-year track. Meet with an academic advisor in your first or second year, and work closely with this advisor to determine your best options. Academic advisors in your college can help you understand more about coursework, requirements and implications for adding a second major. They can help guide you toward specific courses that will allow you to explore a second major more in depth, and may also satisfy General Elective course requirements to graduate. There are also cumulative credit limits at UC Davis that may impact your options that your academic advisor can help explain. The time to degree with a double major depends on the number of units required for each major, your study habits, time-management skills and persistence. Plan early, and you may not need more than four years of coursework to complete a double major. If you begin taking courses toward a double major in your second or third year of college, you will definitely need to take courses for more than four years to graduate. 4. Finally, have you discussed this idea with your advisors? If you are seriously considering a double major — or interested in exploring the possibility — meet with a major-specific undergraduate advisor to learn more about the unit requirements to achieve each major, estimate the amount of time required to complete a double major, and create an academic strategy to achieve your goals. Some majors at UC Davis may require too many units to be combined for a double major, and ultimately your college dean’s office will give the final approval for all requests for a double major based on the number of units. Take advantage of the many campus resources as you make your decision. Academic advisors, faculty experts and career advisors at the Internship and Career Center are all well equipped to provide the guidance you need as you consider a double major. A side note for arts majors: Think about taking the “Work of Art Career Series” workshops that I lead. I want to inspire students majoring in the arts to follow their passion, interests and discover careers in the arts. And it will help you answer the first two topics in this blog — careers and other options. Julie McGilvray is an undergraduate advisor in the College of Letters and Science Arts Group at UC Davis. Previously, she worked as a professional career advisor. Julie was an art major during her first two years of college and eventually switched her liberal-arts major emphasis to psychology. She went on to complete a master’s degree in career counseling.